Contrary to popular belief, oily hair also needs conditioning. If you are hesitant to use heavy oils on your hair, not wanting to increase the oiliness, you could try lighter hair serums that condition your hair and also give it a protective coating to prevent any harm from the dust and the pollution that you are exposed to. If you are wondering as to which hair serum to try, we give you here the best hair serums available in the market which are great for oily hair. The Biotique Mountain Ebony fresh growth stimulating serum is a light, watery liquid that has a cooling effect on the scalp. The serum rejuvenates the hair and gives it a protective coating from root to tip. It makes your hair frizz free without making it appear oily- that way, you are free from dryness and irritation without your hair being weighed down by oiliness. It is priced at Rs. 150 for 120 ml. The Matrix Biolage Deep Smoothing Serum provides frizz control without adding any weight to your hair. That way, your hair does not become limp a day or two after using the serum. It helps control frizz and leaves your hair really smooth. It is priced at Rs. 260 for 100 ml. Toni and Guy Serum Drops gives high shine and polish to your hair without the unnecessary frizz. The conditioner rich serum is light and you can increase or decrease the amount of product used depending on how much manageability you want to achieve. It is priced at Rs. 550 for 30 ml. The Aloe Veda Grapeseed Oil Smothing Serum contains grapeseed oil and panthenol which help in covering and protecting your hair shaft. The serum helps in setting brittle hair, balancing the pH of the scalp, controlling fly aways and preventing the hair from any kind of damage. It is priced at Rs. 295 for 100 ml. 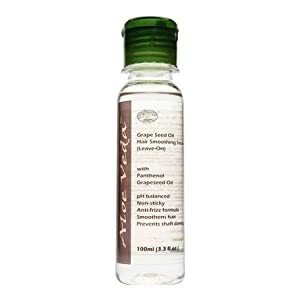 The Body Shop Grapeseed Oil Glossing Serum is a serum meant for dull and lifeless hair. It helps add shine and gloss to your hair. Apply it on towel dried hair or dry hair and style your hair as you please. You hair is well tamed without becoming flat. It is priced at Rs. 895 for 75 ml. The Garnier Fructis Silky Straight Serum helps in detangling hair and prevents hair breakage and split ends. Using the serum regularly helps make your hair strong without bringing with it any associated heaviness. The serum comes enriched with avocado and grapeseed oil and helps nourish your hair as it controls the frizz. It is priced at Rs. 199 for 100 ml. 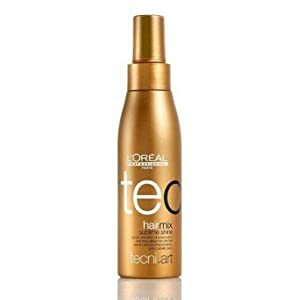 The L’Oreal Professional Hair Mix sublime shine serum helps in taming your frizzy hair and giving you a subtle and not overtly dazzling shine. You can use the product for hair conditioning before styling your hair. Pump some product and start working it from the mid length of the hair to the ends. Avoid the scalp. Blow dry for fabulous looking hair. It is priced at Rs. 600 for 125 ml.